This means employees need robust unified communications and collaboration (UCC) solutions to conduct business and get their jobs done. The solutions must support employee mobility. They must allow a way to share information to bring business partners and customers into the fold. 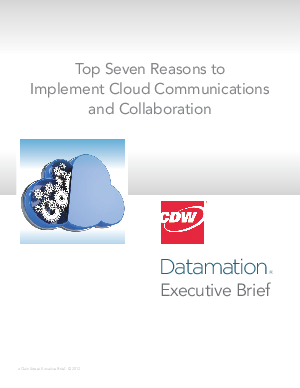 To learn the top seven reasons to implement cloud communications and collaboration. Compliments of CDW.